Rarely do emergencies announce their arrival. That’s what earns them their name – their unpredictability. Despite how much caution we exercise, there’s just no means of preventing a situation from getting out of hand. Did you ever predict that the lock that’s been serving you loyally for years would give up all of a sudden? Did you ever imagine that you’ll misplace the keys you carry? Lock & key emergencies occur far more frequently than you think. Ask us, we’ve been handling requests from frantic customers for years and have helped them sail through distressful situations. Right from rescuing people from lockouts to fixing damages post-burglary, our emergency locksmiths have dealt with every possible scenario you can imagine. Emergencies need to be dealt with certain tact, something which most locksmiths lack. When frustrations run high, it’s the job of an emergency locksmith to reassure the client and prevent them from making any irrational decisions. 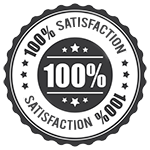 Our technicians are trained, polite and amiable. With their intuitive thinking and technical knowhow, customers are assured of receiving quick resolution to their concerns. There aren’t a lot of 24/7 emergency locksmith services, and taking undue advantage of that fact are agencies who fleece customers in dire need of help. Service that costs barely a hundred bucks will be charged several times over, simply because they know customers have got no other choice but to pay up. However, Seattle Doors & Locksmith has sworn in an oath of integrity and you’ll never find us overcharging you or exploiting you. Our rates remain the same 24/7. Lockout assistance: Stranded in the middle of nowhere? Don’t worry, our technicians will get there as soon as possible and help you regain entry. Overnight lock change: Have all the locks in your building been vandalized? Need them changed right away? Our emergency locksmiths will work through the night and get them changed for you. Break-in damage repairs : Experiencing a break-in can be horrific enough, a recurrence of the same is downright nightmarish. We’ll carry out repairs, analyze security loopholes and upgrade your security to ensure you don’t have to go through all that again. Eviction service: Have you recently evicted a tenant from your property? Don’t wait until tomorrow for them to gain unauthorized access into your property. 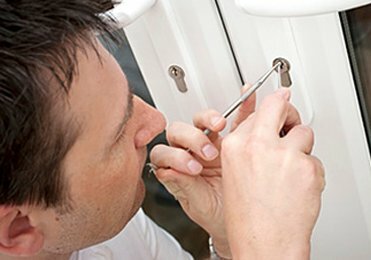 Avail our emergency locksmith service to rekey or change the locks in your property. Unlock service : Right from a locked safe to the boot of your car to a file cabinet, there’s no lock that cannot be unlocked by our technicians. Are you in need of immediate assistance? Our emergency locksmiths are available on 206-408-8173 !